DogEase is a wearable suit that can offer comfort while your pet is recovering after an operation or accident, to help prevent it from licking its wound. It is far more comfortable than the traditional 'cone of shame' and, with some animals, more effective. Recommended by vets. It is made from breathable bamboo fabric, with added Lycra for ease of fitting, and is designed so it doesn't need to be taken off for most toilet trips. Bamboo is probably the most environmentally friendly fabric possible. In addition it is super-soft and stretchy, for ease of wear. It is naturally anti-bacterial, anti-fungal, and hypo allergenic. Bamboo is naturally thermal, being cooling in summer, and warming in winter, and is perfect for next-to-skin wear.The suit not only protects wounds, it can help animals with skin issues, by protecting those areas of skin that are sore and inflamed.The snug fit can act as a calming aid on dogs and cats. It has a calming effect which helps relax the pet who otherwise could be stressed after an operation. The coat has no heavy, noisy or fiddly fastenings. 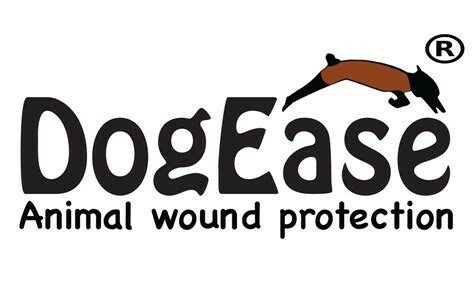 Caution: As with all wound protection please supervise your pet while wearing DogEase. The suit is not indestructible and may not suit every dog. To enable DogEase to have total stretch capabilities the edges have not been hemmed and therefore some may have irregular edges due to the nature of the manufacturing process. The item must have been purchased from us. The item must be in the original undamaged packaging and be unused ready for re-sale. Only one return per order will be facilitated due to the wrong size being ordered. All items must be returned to be considered for refund. You’ll be responsible for the costs incurred in delivering the item back to us and re-posting, unless there was a fault. Should an item be damaged or faulty, or we have made an error, we will replace it or give you a full refund including postage. Items that are soiled, or have animal hair on them, will not be eligible for refund. If you wish to try one on your pet, we suggest that you find a small T shirt for your animal to wear underneath the DogEase suit, to ensure it remains clean.